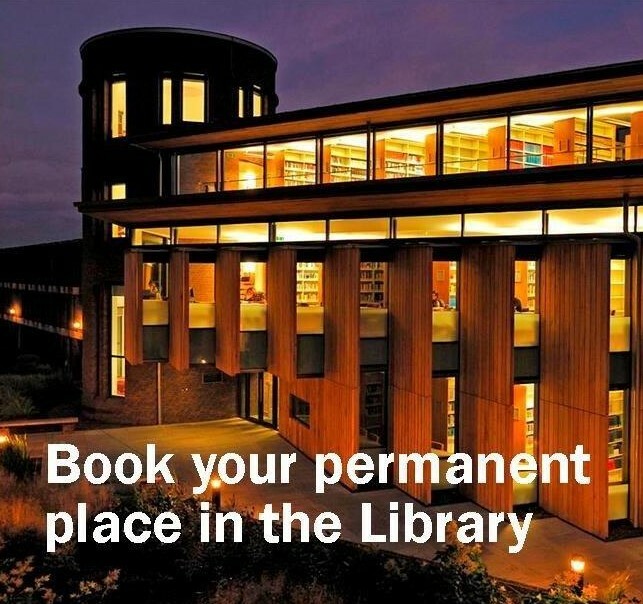 Book your place in the Library. 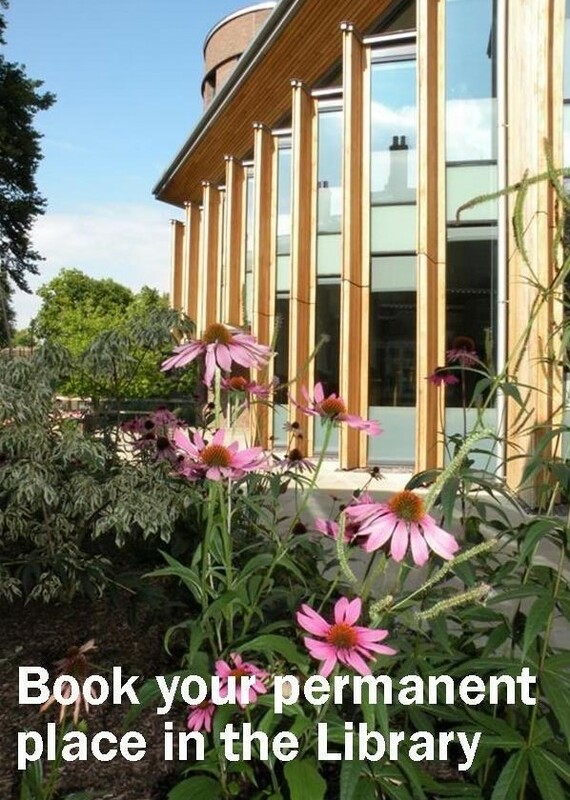 Celebrate the occasion of your graduation, add to our library for future students and leave a lasting reminder of your time at Fitzwilliam. 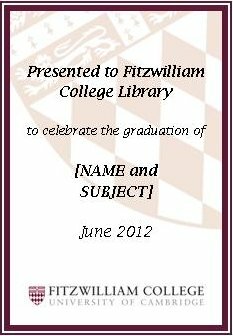 For only £20, a distinctive Fitzwilliam Library book plate, in an appropriate book of your choice, will ensure that your name and graduation will be remembered for years to come. You can choose any book, maybe one you found particularly useful, or you can request that a new book is bought for the library collection. 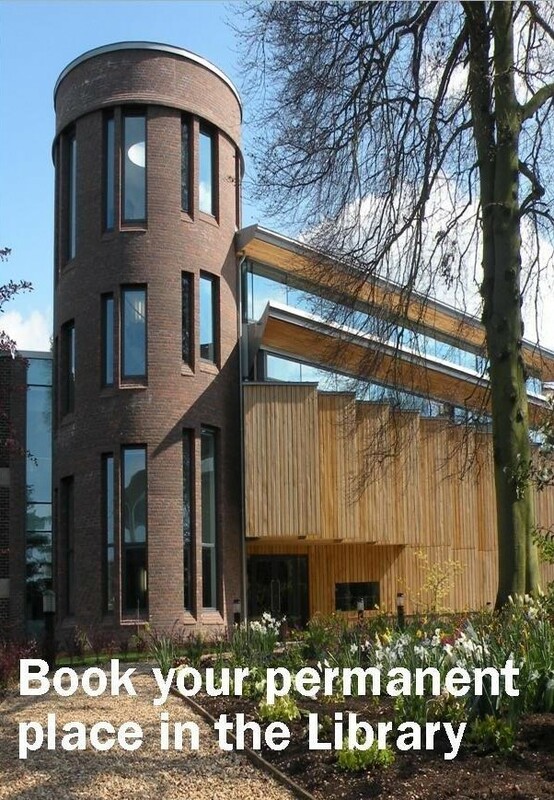 Either way just pay £20 and we will put your name on a book plate in a book that will be used by other students in years to come. They'll see your name, know of your donation and hopefully be inspired!! The wording on the book plate is shown on the left, but if you want to further personalise your plate, email the librarian at library@fitz.cam.ac.uk, or add your text when you place your order online or at the Library.